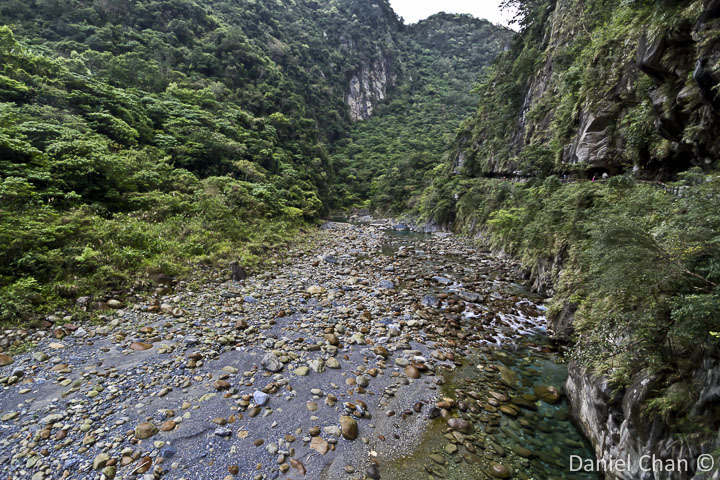 On the way up to Taroko Gorge, most travelers will stop by this trail. 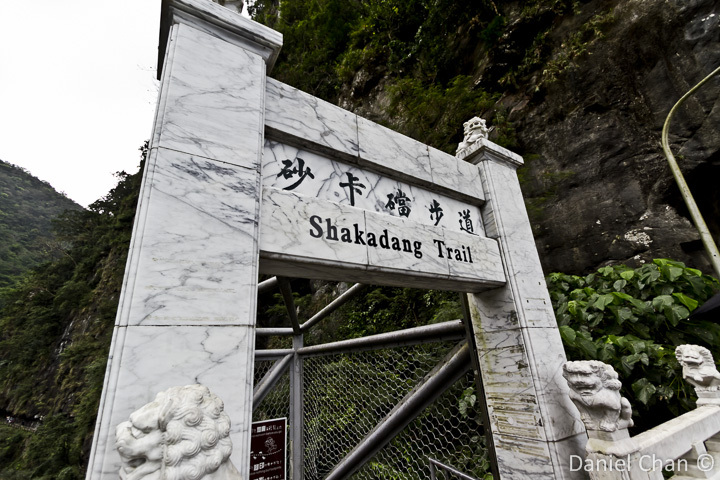 It was once known as Mysterious Valley Trail but renamed Shakadang Trail in 2001. 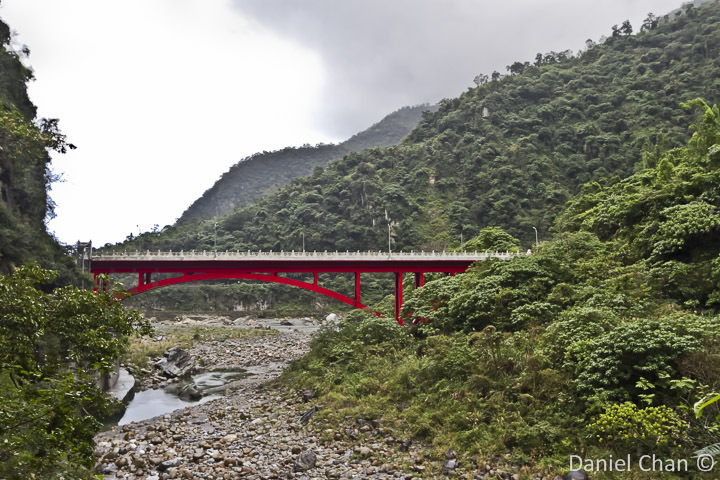 The Shakadang Trail is part of Taroko Gorge. You can see in the background, the trail that is cut thru the stone cliffs. Once pass the entrance, you will descend a few flight of stairs. 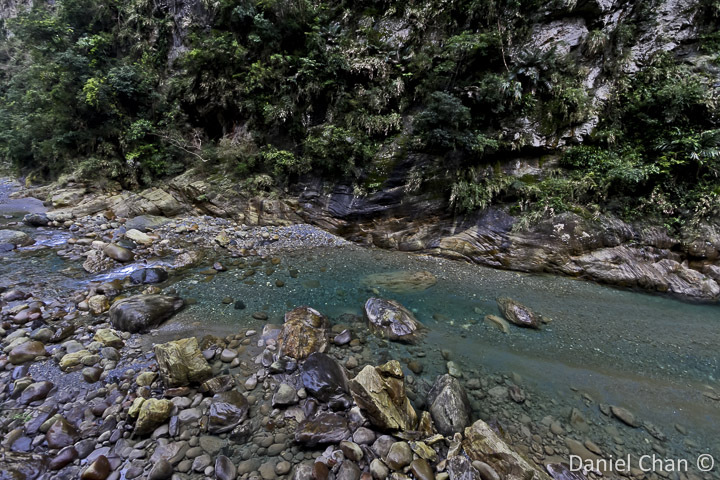 As you descend, you will see a unique view of blue water flowing downstream. 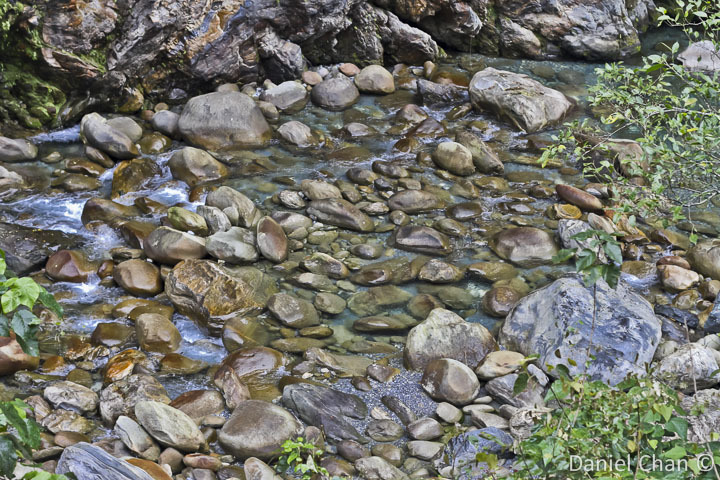 It is a different experience as we have grown accustom to clear colorless water. 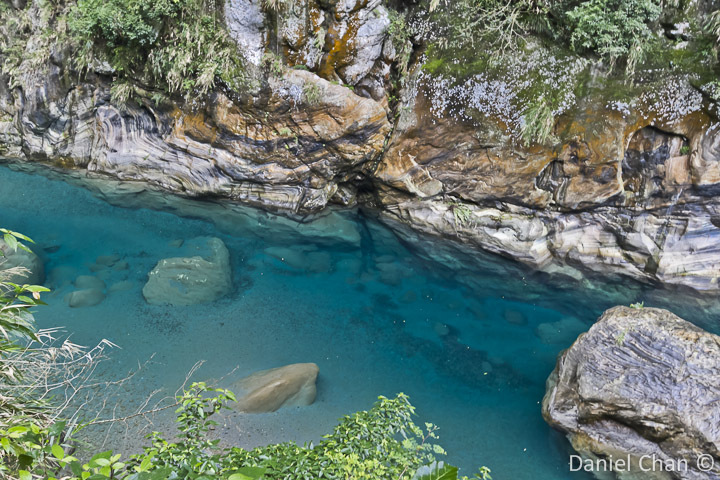 Shakadang trail offers your clear blue water due to the water minerals. 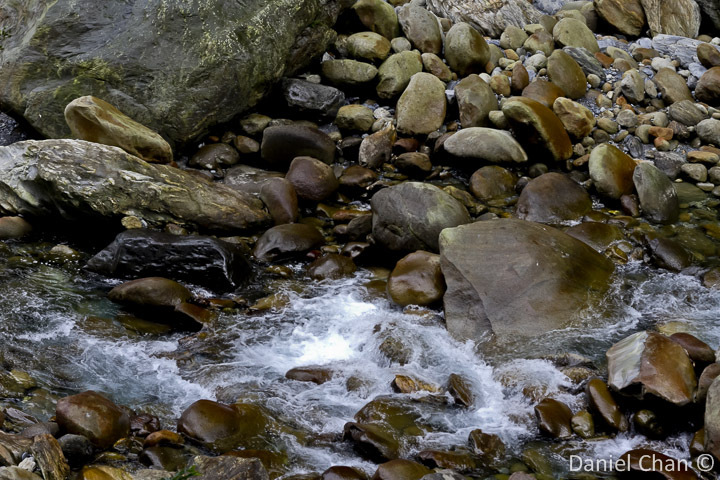 The water streaming thru the trail is peaceful. There is no unnatural sounds here. 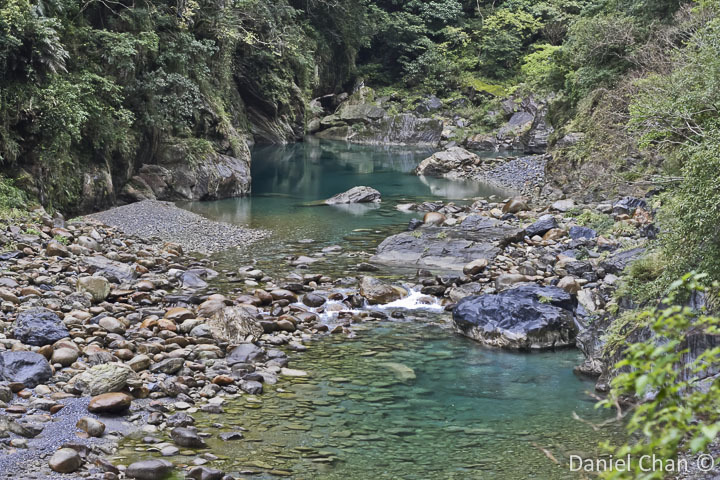 You can really hear the waters flowing and the chirp of birds. The walk is an enjoyable walk on the sides of the cliff. You will walk cut-sections on the stone hill. Watch your head as to not bump it on the low ceiling. 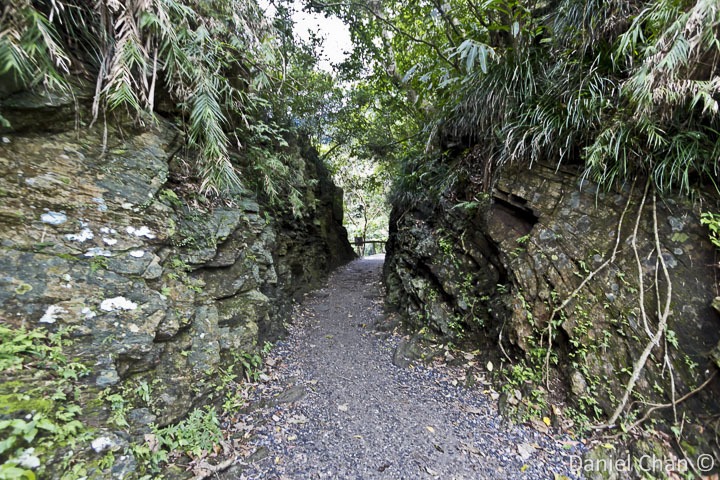 These were cut to enable travelers to walk and keep enjoying the trail. There is a cabin 4.5km down the trail but it was too long a hike for us. The water is beautiful and blue. 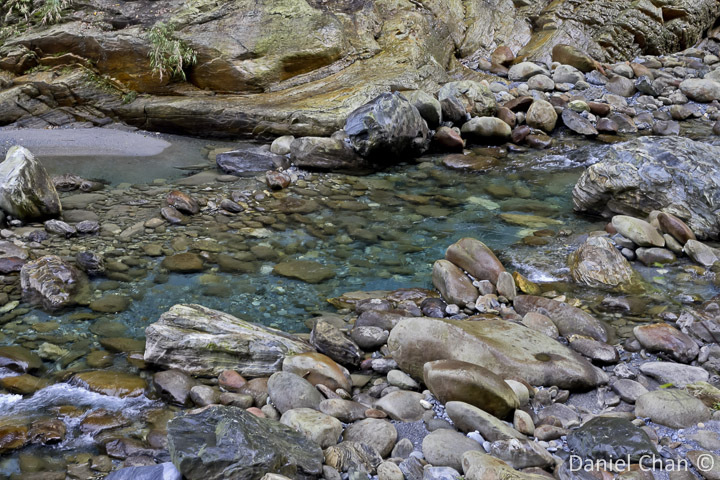 The waters on this trail casts a blueish hue. A very beautiful picture. The stones are polished and smooth. 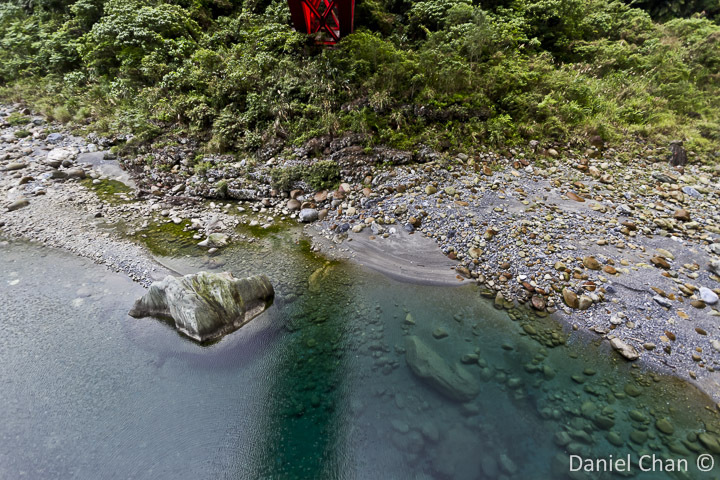 There are portions on the train where the water speeds up from its calm and crashes thru the rocks. 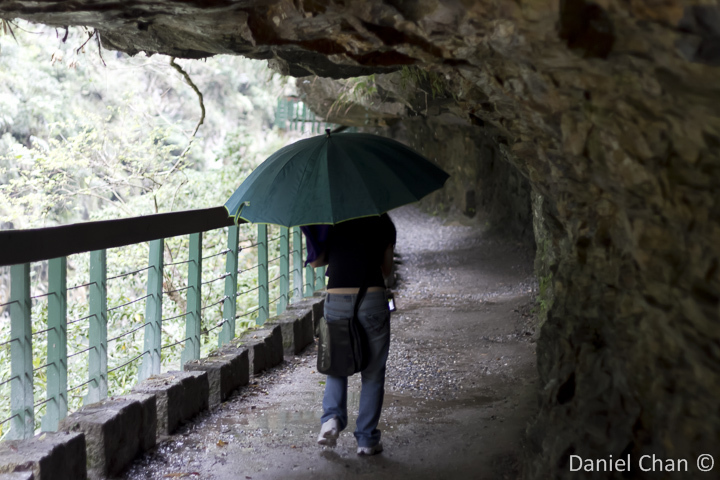 It was drizzling and most travelers carry an umbrella as they walk the trail. The rainwater will seep thru and drip unto the trail. 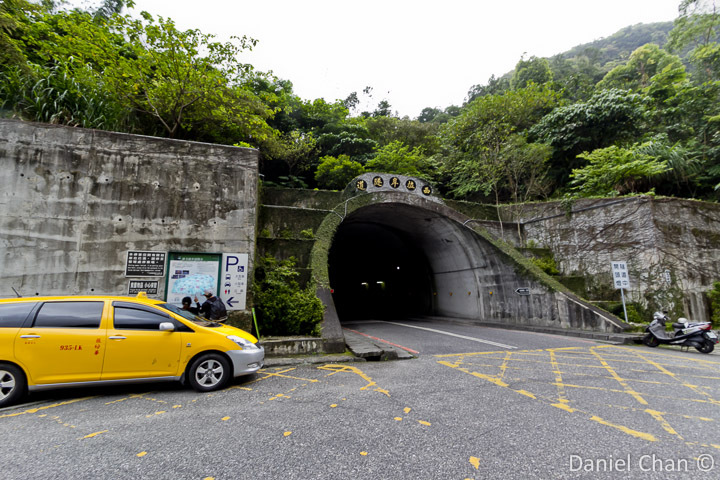 This is the bridge of 100 Lions where our taxi was parked. 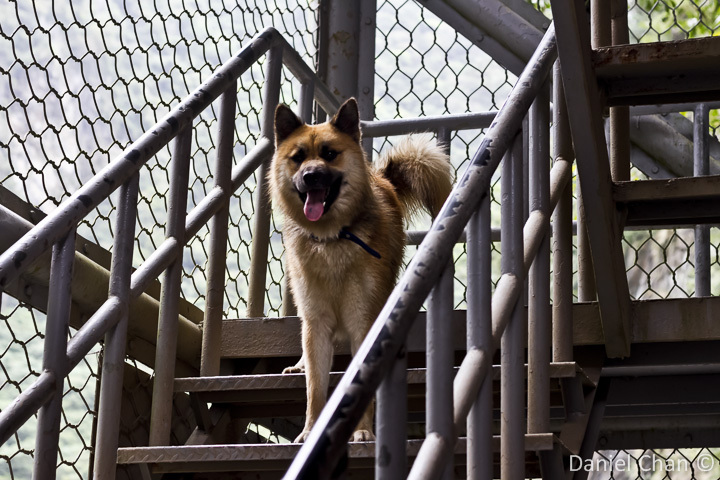 This dog was seen going up and down the stairs from the entrance of the trail. He must have been awaiting his master. 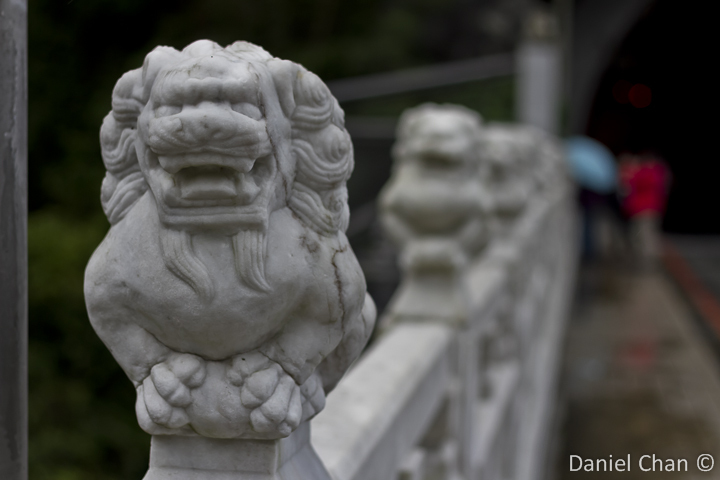 On the bridge, there are multiple stone lions, which reminds me of a joke my mandarin teacher told me about. 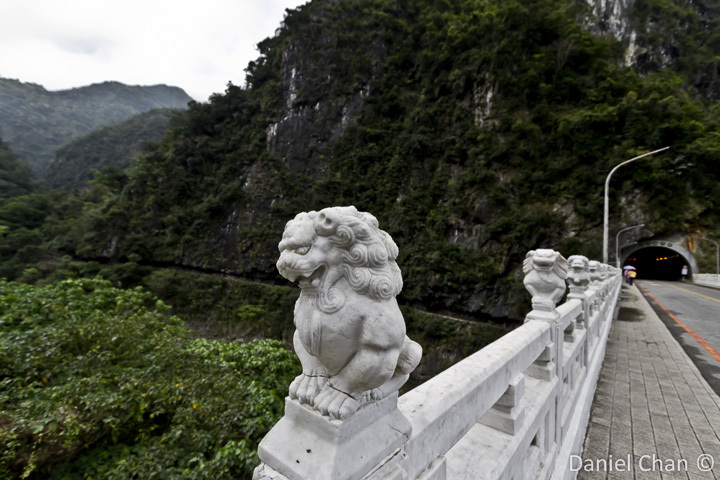 He said asked me to say in mandarin : 33 dead stone lions. Each lion is uniquely carved and the effort put into it would have been exhaustive. 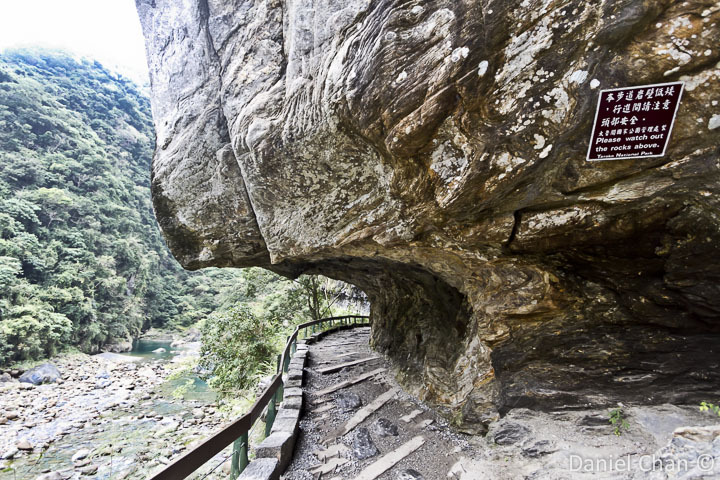 There are a few lookout spots to allow you to get better views of the gorge. Apart from that, most of your view will be obscured by a branch or bush. Not to worry, this peaceful walk is a much welcome. Welcome to nature.